He Is Declaring Your True Reality Amidst Whirlwinds Of Stress And Anxiety!!! I had a vision where I saw many of God’s people caught in whirlwinds but these were not whirlwinds of peace or sent by the Spirit of God, these were whirlwinds that were being created by circumstances around them, the “chaos” and “busyness” and “stress” surrounding a lot of situations were attempting to bring the people of God to a place of losing their peace. These whirlwinds were whirlwinds that were attempting to heighten anxiety and stress levels and I saw many facing intense levels of restlessness and anxiety. As many of God’s people were in the midst of these whirlwinds surrounding them and they were crying out to the Lord, I saw Jesus appear in the middle of the whirlwind with them. With a look of such compassion and love, yet the look of love was beckoning them not to remain where they are in anxiety and stress, but to come up higher. There was an invitation in His eyes to step up in faith, in trust and peace knowing HE was with them in the whirlwind and all would be well, because of HIS presence with them. I then saw Him begin to declare the opposite of what their circumstances were screaming, and declare the opposite to what the enemy and their circumstances were telling them about the ‘outcome’ of these circumstances and their ‘identity’ in them. As He spoke the people of God looked stunned, shocked and almost bewildered. Everything He spoke was not only the complete opposite to what everything around them was screaming, He was speaking life, and hope, and calling out the gold in who they were, He was calling out IMPOSSIBLE OUTCOMES and IDENTITY over them that felt complete opposite to where they were and how they were feeling. 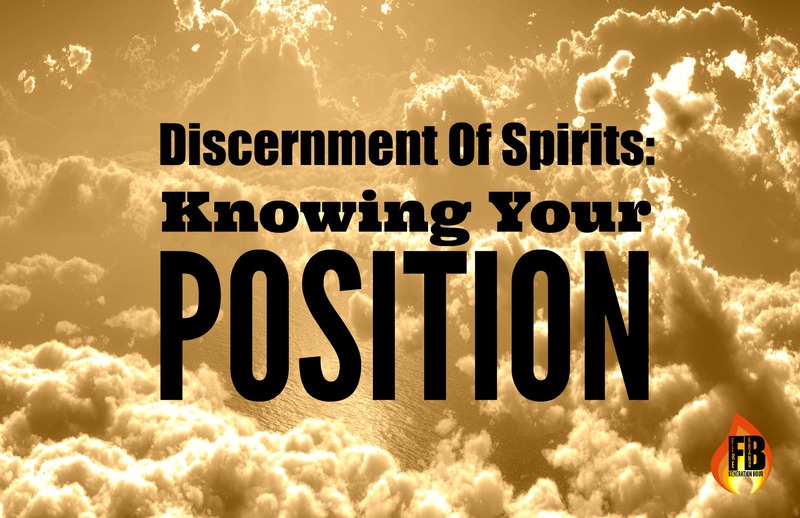 I watched as He continue to declare over them, over and over and over again, and as He spoke, I could hear an alignment taking place in the spirit. The invitation then came.. “Have faith, have faith in Me. Repeat after Me. Do you believe?” He began leading the people of God in declarations over their lives, their circumstances and their identity and these declarations were POWERFUL. The people of God began to declare word for word what the Lord was speaking and a great rumbling began to take place. Hearts were coming into alignment, healing was taking place in minds, hearts and bodies and I then noticed the whirlwinds began to change. There was a divine turnaround happening over these whirlwinds and the power of the Word of God was being demonstrated and it began to rain breakthrough and a “way through” the anxious, stressful circumstances. One major whirlwind that spread over each one of God’s people was the whirlwind of favour. The areas that had attempted to crush them in anxiety and stress, as they had aligned with Him and hearts of faith in Him and His Word, He was releasing favour over them in those very areas. There was an upgrade of favour being released that was going to see Him move in greater power by His Spirit and a new threshold crossed over by the people of God. This post has no political agenda. I just compiled revelations of two different ministers from two different places regarding America. For any reaction, go into prayer and intercession. Dream Regarding United States Election – Call to Prayer! Firstly, I want to preface this word by saying that I do not have a political agenda for the United States of America. I am simply one person in Australia who has a huge heart of love for this beautiful nation and to see the destiny of the United States established and the Kingdom of God extended, releasing a huge wave of revelation of His goodness and love. I also want to say that I do not base what I am about to share on any ‘policies’ that I have heard, but simply what I believe the Lord revealed to me in a dream concerning the candidates. This word is not in any way to ‘sway’ anyone in their political views, but simply to release a revelation from the Lord that I believe needs to be covered in prayer. I had a dream recently where I was in a political arena and I saw Donald Trump and he was passionately putting forward his policies. In this dream I could not “hear” what he was saying, I just remember seeing him speaking with great passion. Over the past 24 hours I have received lots of messages and comments, sadly many sent with great verbal attack, concerning the dream I released about Donald Trump and I feel I need to clarify something. Many have interpreted this dream as the Lord telling me that Donald Trump would be the next President. I have not said that but I do believe the Lord IS using Donald Trump in this season. I simply released that which was given to me so the people of God can pray and continue to seek His heart for their nation. The Lord’s heart is for His victory and triumph to be seen in the United States and whatever way that “manifests” or “whoever” He uses, I believe the Lord is wanting His people to seek Him with an open heart. I continue to stand with you my friends in the United States of America. My prayer is that the Lord’s will would be done and that the United States would be brought to a place of God given destiny as the body of Christ in the United States of America rises up in seeking His heart, moving in love and honour, and shining bright with the Glory of God that even where there has been great darkness, the breakthrough of His light, glory and beautiful Kingdom extended through His people. 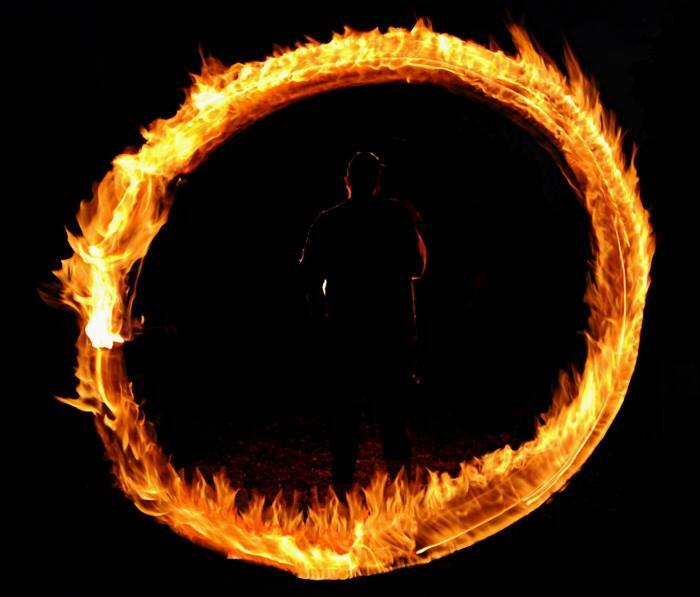 My first reaction when I saw the ring of fire was, “Lord, I am not the one who placed that on him!” It is not that the Lord is faulting me that Donald Trump has a ring of fire, but in my mind, I knew how to put that on a person. However, this time, that ring of fire is not coming from my impartation! I did not pray for Ted Cruz anymore after seeing that but instead I began to muse on who placed that ring of fire to Donald. Several days later, I saw a video posted on Facebook. I saw Paula White and many other ministers praying for Donald Trump in his office in New York City. Although I could not make out what they are praying, yet it comforted me in knowing that one of them placed that hedge on him. When I came back from Brazil the first day of this month, I made a commitment to God to pray for the upcoming general election of United States coming up next year, November 2016 every night at 11 pm. The Lord made me understood that two months before the election praying is already too late. There are things that needs to explode and be exposed between now and then, that starting early is essential to rescue America from turning sharp Left. “Sharp Left” was the word used by the Lord to describe where America`s destruction will be coming from . If you want to know more about the Sharp Left revelation, archive it here at my Wall concerning the Plane AMERICA: A Vision Of The Night dream that God gave me last August. I want everyone to know that this ministry is aligning ourselves to the vision that God gave us. With this understanding that America will turn sharp Left to her destruction, I started summoning and teaching the ladies that meet at the house of Marilyn Elshahawi to start cutting off the Left. Last Wednesday, we started with Vice President Joe Biden and Hillary Clinton. A Joe Biden run would mean the third term of Barak Obama. Same old as usual. After the intense cutting off of the Left last Wednesday, Joe Biden showed up on national TV the next day. Contrary to the suspicion of the left leaning media that Joe Biden will run for presidency, he announced he will not! He was the first that was cut off! This is our first victory since we started aligning to the vision. I want you to open your eyes concerning the movement of politicians on a national level in this country. Most of that will already reflect the intensed intercession prayed for or against them. We need to take this country back from the loose morals of those who govern us before we see our demise as a nation! As I am about to fly again in three days to Europe. Watchmen, do not abandon your post of watching. Being on your toes to blog the latest news is good. But without prayer, nothing will happen…! Knees bent, prayers up! Glory to God! Here is the closest photo image that I found at the internet that resembles the vision of the ring of fire that surround The Donald. Welcome to the realm of the Spirit! Enjoy seeing..! This has been a significant week with Rosh Hashanah and the crossing over that is taking place in the spirit. This week, I have seen the most significant shift in the spirit in the body of Christ I have seen before. At the beginning of the week I saw the ‘sudden alignments’ beginning from this week, and ‘impartations’ being released all across the body of Christ as His people remained positioned in Him. As I have moved into each day this week, the level of impartations I am seeing released from the heart of the Father and through divine connections and relationships has been increasing. This morning I saw these impartations being released in such great increase and acceleration there was a holy urgency over me “STAY POSITIONED, NO MATTER WHAT YOUR NATURAL EYES SEE, DO NOT MOVE!!! !”, even when you have stared impossibilities in the face and they haven’t bowed, STAY IN PLACE, STAY IN FAITH. In the tension, in the mystery, in the stretching, in the disappointment, in the not understanding, STAY IN PLACE! For this morning, I saw such incredible impartations of His fire being released to those who have not changed the subject, those who have continued to move forward, those who have not given up, those who have stayed in the truth that no matter what my eyes see, HE is good. In that sacrifice of praise, in that holy resolve to NOT BE MOVED, to remain positioned FRONT LINE IMPARTATIONS OF REVIVAL FIRE were being released. As the impartation of His fire was being released, suddenly a chess board appeared in front of me and the Lord was “Locking His people into position”. He is raising up His army right now, and this week is a week where He is placing His people in position in the spirit to be ready to release the impartations He has placed in their hands, to lead this end time revival. There is something VERY significant about this week, about our positioning, the impartations we are receiving and His positioning of us. I had a dream last night about the Lord moving His people into new levels, promotions and increase from this week. It’s not “coming”, it’s HAPPENING and there is such pressure from all angles this week to “change the subject” (from He is good to doubting His nature and love because of circumstances) but there is a heavy weight on your “YES” to Him this week. Your sacrifice of praise and your “YES” amidst the mess. A birthing is happening right across the body of Christ this week that seeing impartations being received and released all across the body of Christ. A positioning happening in the spirit this week that is going to be significant for you in the end time revival that is upon us. Not only will the impartations He is releasing from His heart and through His people in connections give you the “foot up” into the next level, it is breaking boxes that God has been placed in. It’s opening up new levels and areas of forerunning and ground that has NOT been walked on before. It is not only opening up increase, but increase upon increase. Your alignment and positioning this week is key. Whether you see it with your natural eyes or not, your “YES” this week is positioning you for further steps of DESTINY. Your “YES” this week is going to unlock glimpses of your role and call in this coming end time revival that is being released across the earth. Get ready for the Lord to take you to different places in the spirit, different nations, different places to begin to show you on a glimpse of what the new wineskin and move of His Spirit is going to look like and your role in the revival that we are on the brink of. There is a promotion happening in the spirit this week through the mess, through the mystery, through the stretching, through the tension. A holy dissatisfaction is coming upon the people of God and the seed for “MORE” is being released in encounters from heaven. A deeper level of travail and hunger is taking over the people of God as they are positioned in Him, and the cries that will explode from their hearts is preparing them for the fire of God to be released through them in unprecedented levels and the Spirit of God moving to prepare and make way for the fire of revival. The Lord is shifting things in the spirit and the natural to see His government established. The army of God are getting into position this week. Your are taking your place at a whole new level this week in the spirit through your YES amidst the mess. In the stretching, in the mystery, in the tension, in the mess, in the disappointment, in the expectancy, in the hunger, in the triumphs, in the waiting… your YES to Him is positioning you for more. Nothing has been wasted. There is a righteous anger for injustices rising up all across the body of Christ in the spirit this week that is birthing warriors to take back ground that was ‘seemingly’ lost. But in this radical arising and force led by His Spirit, MORE GROUND is being taken than was “seemingly lost”. Strategic impartations of His fire to position you further in your destiny is here. You have a part to play in the revival the Lord is about to release on the earth and your contending is not only bringing an extending WITHIN YOU, but an extending AROUND YOU. You are advancing higher, deeper and wider than you have before. Examine your position and your hearts this week for your greatest increase and impartations are being released from this week. Get Ready To Burn For God!!! There is huge angelic activity being seen in this season. Over the weekend and this week, I keep seeing angels holding “torches” of fire. They are standing waiting beside the people of God and as they worship and press in, these angelic hosts lean forward with their torches and they place these torches on the hearts, minds, eyes, mouths, feet, hands and ears of the people of God. There is SIGNIFICANT and SUDDEN increase of His fire over the people of God bringing sudden alignment in the spiritual ‘senses’ of God’s people. HEARTS : Burning away lies, igniting truth and setting fire to the seeds of the Word you are sowing into your heart releasing exploding revelation. MINDS: Igniting deeper revelation of the truth that we have the mind of Christ and releasing divine heavenly wisdom and strategy. Racing thoughts and tormenting thoughts are being broken as the people of God align their minds with the Word. EYES: Sight defying natural atmospheres. Sight to SEE into the UNSEEN. MOUTHS: Increase in declaring the Word and messages of His heart with greater boldness and conviction. A greater anointing on declaration for breakthrough. 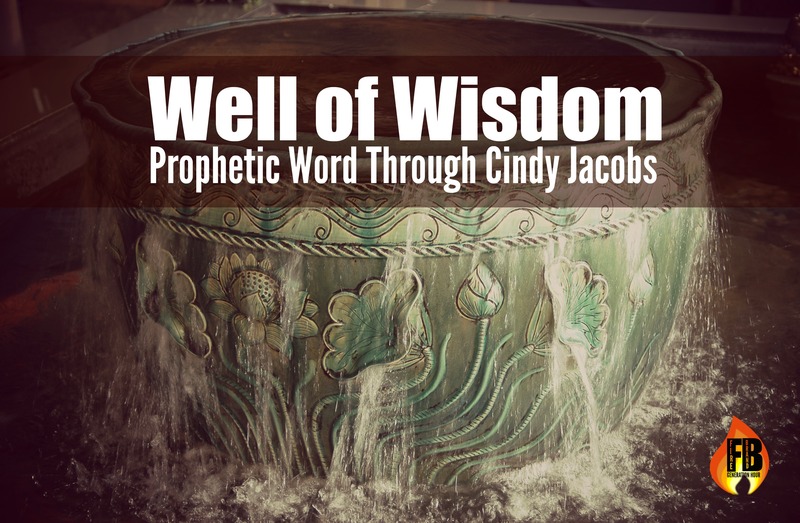 WORDS THAT BREAK THROUGH impossibilities opening up new levels of the SUPERNATURAL. HANDS: Increase in the expression of gifting’s. New levels of release in the gifting’s of God in lives and greater conviction to PULL DOWN by FAITH what is ours in Christ against injustices and impossibilities. A new level of favour upon “what we put our hands to” led by Him as we steward what has been before us, well. HUGE breakthrough’s and increases in HEALING and those with healing anointing’s are moving into new levels of increase. Greater increase in finances, abundance to GIVE and RELEASE more. FEET: To go further than you have ever been before. New paths, new realms, new doors, new opportunities to take more ground, to see His Kingdom established through you further than ever before with signs and wonders following you. To see your feet move into the enemy’s camp with greater victory and take back what He has stolen. To take the Gospel further than you have before. Greater ground being taken for the Lord. EARS: To hear at a deeper level than you have heard before, distraction, static and noise being removed releasing a greater clarity to hear what the Lord and what He is doing in the spirit. New levels of accuracy. Greater encounters of His fire are being released upon you releasing you suddenly into this new season through Rosh Hashanah. What has held you back in the past season is being suddenly burnt away, He is coming as an all consuming fire and bringing the deep level of refining and purifying to release you into the new. These angelic hosts with their torches of fire are heralding and signalling your entrance into the new season, to go deeper than you have ever been. Further and wider than you have ever been before and to soar to heights and levels above and beyond what you have dreamed about. Been Feeling A Sudden Stretching This Week? I saw many across the body of Christ feeling a sudden stretching this week. A sudden stretching that has seems to have come out of nowhere, that has left many feeling like they have been stretched more in a week than they have in a while. There is a transitioning happening this week. There’s an “unsettling transition feeling” that many have suddenly felt this week. That’s because there is a crossover happening in the spirit for many this week. You are going to a new level!!!! You are going higher!! You are going into a new place where nothing is going to look the same anymore. The new is here!!! You are passing through a threshold into a whole new realm!! This will require a whole new level of intimacy, a whole new level of trust, a whole new level of surrender, that you will be carried into as you rest in the rivers of His Spirit. His Spirit will carry you where you need to go. You will not be taken there by your own efforts or strength, but by His power. There may be a greater level of sacrifice and surrender before you but it will be a JOY as you move into deeper levels of encounter with His heart and wider open spaces of promotion, favour, revelation and breakthrough. Embrace the ‘unsettledness and transition feeling’ and know you are birthing and suddenly a shift will take place releasing you into the new level. What many of you are feeling in this sudden ‘unsettledness and transition feeling’ has left many of you wondering what you have done wrong, or what’s going on. The exact opposite is true. You are being stretched for your increase, promotion and birthing. The sudden opening of this new level is going to open up realms of encounters with Him and the supernatural like you have never seen before. Get ready to know Him like you have never known Him before as you have positioned yourself. Keep going into your secret place to spend time with Jesus. Keep drawing away even in the ‘uncomfortableness’ this week of the transition. Get those lamps ready for not only will they be filled even more and to overflowing, but more oil in reserve to pour out to others. The stretching may be feeling painful, but align yourself with what He is doing in the transition through your alignment and surrender. Keep worshipping through the transition this week and you just wait and see the double doors of a new level open up and the mountains that have stood in your way attempting to block you from this entrance be flattened before you. Season of Receiving: Gifts From Papa! As the people of God worshipped I saw all distractions, fear and worries falling away. Everything not of Him was falling to the “wayside”. Hindrances being broken off, such a deeper positioning into deeper intimacy was taking place. Scales were falling off eyes and ‘plugs’ the enemy had placed in ears, suddenly POPPING OUT. The Lord was SO delighted in the praises of His people. His eyes filled with tears of joy at the beauty of His children!! As I watched this my spirit began to leap in my belly with the excitement of a good Father, just waiting for His children to ASK, so He could LAVISH His good gifts upon them. What was bubbling up in their heart as they worshipped as what He had placed in their hearts. As He spoke, constraints of fear of dreaming, fear of ‘asking for the wrong thing’, fear of ‘maybe what I am asking for isn’t what He wants’ was being broken as perfect love surrounded His people, the delight of a good Father. I saw the people of God then climb up on His lap, and begin to share their hearts and dreams. He listened with such intent, such care, not to miss a detail. As they shared, I heard the sound of doors unlocking all around. New levels of intimacy were being unlocked with the heart of the Father. Suddenly, the vision changed and I saw the people of God standing before the throne again in worship. All of a sudden it began to RAIN. It was raining GIFTS AND SURPRISES. Fulfilled desires of His people’s hearts were raining down. 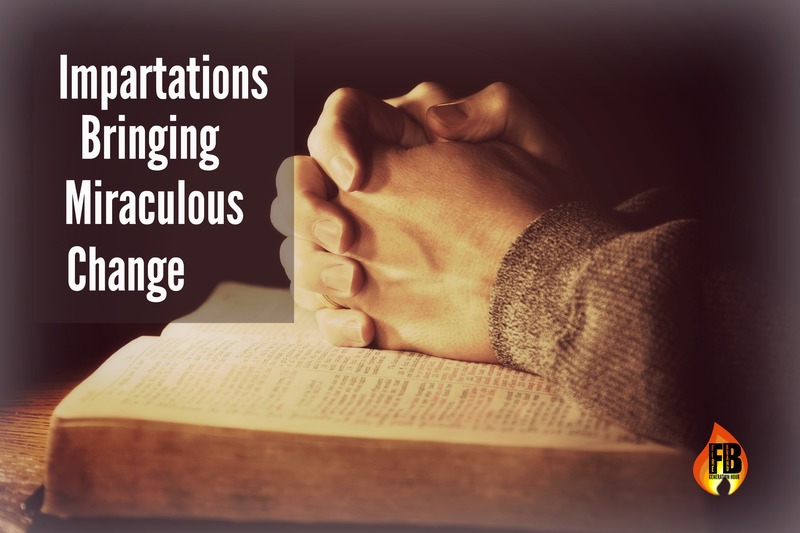 7 fold restoration gifts, raining down. Surprises raining down. The people of God began to open, gift after gift after gift and they began to sob. Tears of joy, tears of restoration, tears of healing, tears of freedom. At first, I thought they were sobbing because of their fulfilled dreams and desires before them, and that was part of it, but then there was something deeper. IN the display of His faithfulness and provision that was SO above and beyond.. hearts were being healed by receiving a greater gift.. the gift of REVELATION. The gift of SEEING PAPA!!! Seeing JUST HOW GOOD HE REALLY IS!!!! How much He cares! How much He loves!